I picked this book up on a whim because of the quirky cover, and I usually trust whatever Hot Key Books publishes. They know what’s good. I was also really in the mood for a nice contemporary romance, which was exactly what I got. 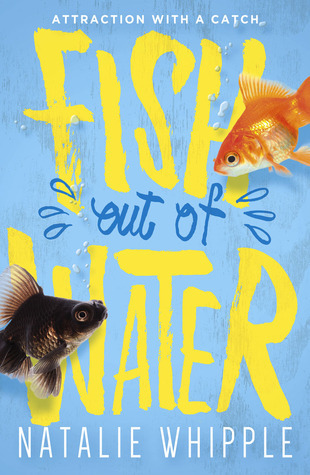 ‘Fish Out Of Water’ follows fish loving Mika as she tries to deal with her grandmother, who has Alzheimer’s, living with her family, racist comments, friends keeping secrets, and the extremely annoying but extremely cute rich boy that comes to work at AnimalZone with her. She has a lot going on. There was never a boring moment in this book. Sometimes, because the plot was so jam-packed, it felt a little cluttered and lacking focus, but I prefer lots happening rather than too little. Oh, it was the return of my favourite love-hate relationship filled with banter and resentment and angry make out sessions. Dylan and Mika made a lovely couple. They understood not to judge each other by their family situations and eventually worked out their differences. Originally, their relationship was only faked to get a girl off Dylan’s back, but fake relationships usually evolve into something more. I liked it, a lot. The little ‘What’s In It?’ circle that is iconic for Hot Key Books used the terms ‘pride’ and ‘prejudice’, which was pretty accurate. Dylan was very Darcy. So, Mika’s mother is Japanese, which means, for once, a YA protagonist is a POC. I really loved how no big deal was made out of it to begin with. Her best friend, Shreya, was Indian. It was a really great representation of diversity. But, there’s always going to be mean people in real life and in books that say horrible things. I thought the racist comments regarding Mika were handled very well, the same as the comments that people might not think are racist, like ‘she’s so exotic’ or ‘point out the good Asian restaurants’ as a few examples used. This book definitely made me think about what isn’t acceptable and how POCs are treated differently. I’ve never read a book where race is a discussion point, so I’d highly recommend this book on that front. As well as race, the whole Alzheimer’s issue was extremely interesting to read about, and eye opening to the daily struggles some families go through. In the Acknowledgments, you get the sense that Whipple is writing perhaps from personal experience, making the story seem incredibly realistic. Disguised as a cute contemporary romance, this book definitely has more valuable things to say under the surface. Overall, I gave this book 4 stars. I really, really enjoyed it. From the first few chapters I knew it was going to be great. It was filled with some of my favourite YA tropes. There were some parts of the relationship dynamic I didn’t like, that gained a few eye rolls, but nobody’s perfect. I’d definitely recommend picking this book up, if you like the sound of it! I love when a romance takes the opportunity to tackle something a bit more subtle at the same time. Sounds like a great read! I adored this book and read it in one night. 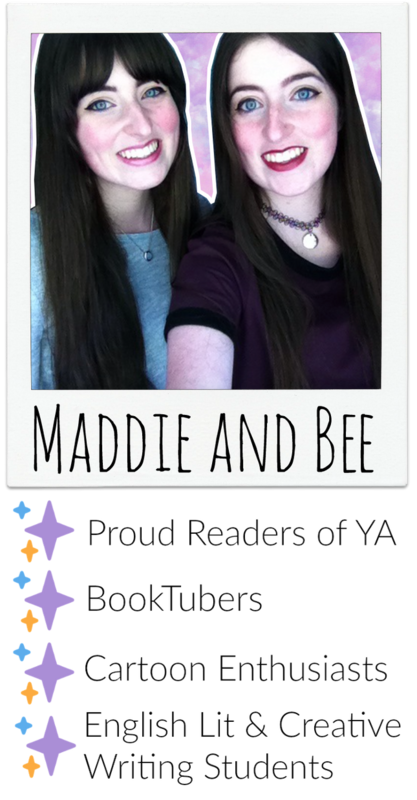 It felt very different to the usual contemporaries in YA! I’m glad you enjoyed the book.